Spectrum Collections are one of those brands I’ve loved from afar for ages. Captivated by their brightly coloured brushes and sophisticated looking sets, I’ve been absolutely desperate to try their brushes first hand. 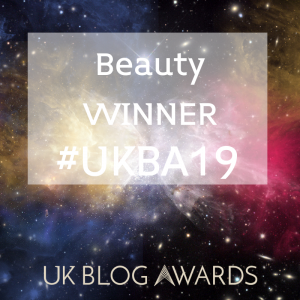 I see their pink and multicoloured brushes all over my Instagram feed and swoon a little bit every time, and then I saw their Marbleous range and that was it – I was all heart-eye-emoji for them too. Being the typical blogger that I am, I’m obsessed with all things marble. I use marble in pretty much all of my blog and social media photos, I’ve got several marble phone cases and a marble MacBook cover. So naturally, a marble inspired brush collection was right up my street. When the 8 Piece Eye Set arrived with me, my inner blogger got even more excited because the metal brush shell and the brush logo looked far more copper than I expected. 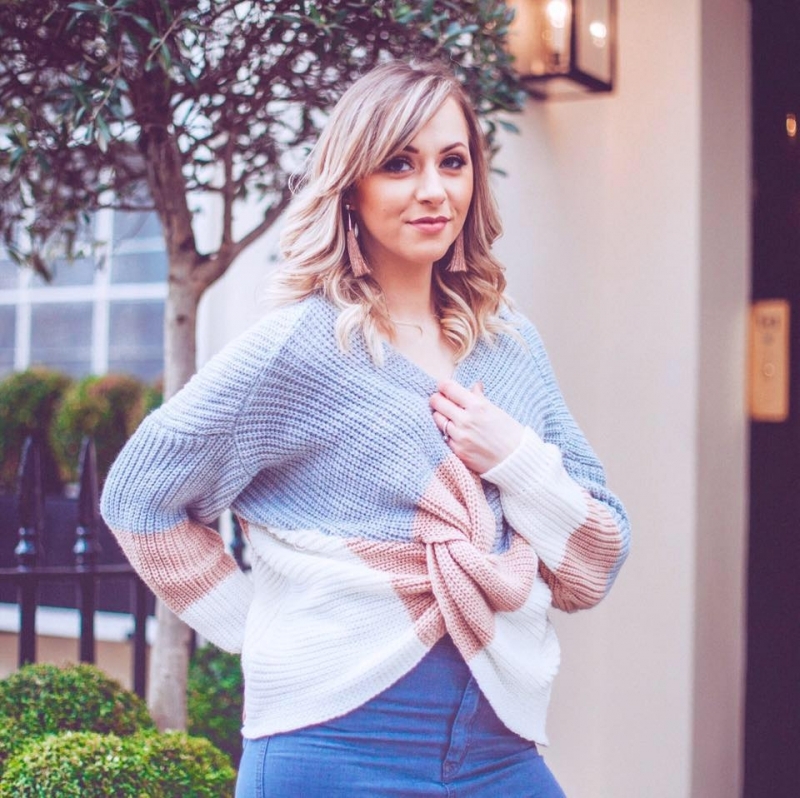 And if there’s one thing this blogger loves as much as marble – it’s rose gold and copper! The brushes themselves are black, with copper/rose gold colour casing and logo, and the brush end itself mimics marble as the bristles blend from grey into white. They’re the most Instagrammable brushes you could imagine! Plus as a cruelty free and vegan friendly brand, you know the quality will be high. My first impressions were about how beautifully soft the brushes were, the bristles feel good quality and durable and they have that gorgeous and luxurious softness that you only get from high quality brushes. Included in the eight piece set are enough brushes to create all kinds of eye looks, from dark, smouldery and smokey eyes right through to minimal and barely there looks. There’s precision brushes for the finer details, which help to create those really intricate lines and I love using these for those stunning looks which are so on trend right now with a thin line through the eyelid crease to create definition. There’s also brushes to apply those base shades across the whole lid, and my favourite kind of eye brush – the big ole’ fluffy ones for perfect blending. I’m a huge sucker for those. Ability-wise these brushes don’t disappoint at all. The quality is undeniable and I see now why Spectrum Collections have such an amazing reputation for some of the best brushes on the market. I notice less fall out from my eyeshadows (even the ones I usually struggle with) when I use these and I get amazing precision both from the detailed brushes when I want some smaller, more controlled styles and also from the bigger brushes when I’m being a bit more generous or covering my lid. They also wash really well. This is the stage when brushes with a fake reputation would usually fall down, as washing would show the first signs of damage with bristles moving and coming out etc. However none of this happens with the Marbleous brushes at all. They wash well – and easily at that too, and once dry they feel like new all over again, and also retain that gorgeous softness that I love. So for me the set is an absolute winner. Not only are the brushes designed to my absolute favourite specification – with marble and rose gold/copper styling, but the quality is excellent, which means make-up application feels great and looks it too. But not only that, washing them doesn’t take away from their quality or performance ability. Meaning every time you wash them, they just keep giving. And for an eight piece set at £34.99 they’re well worth the splurge. 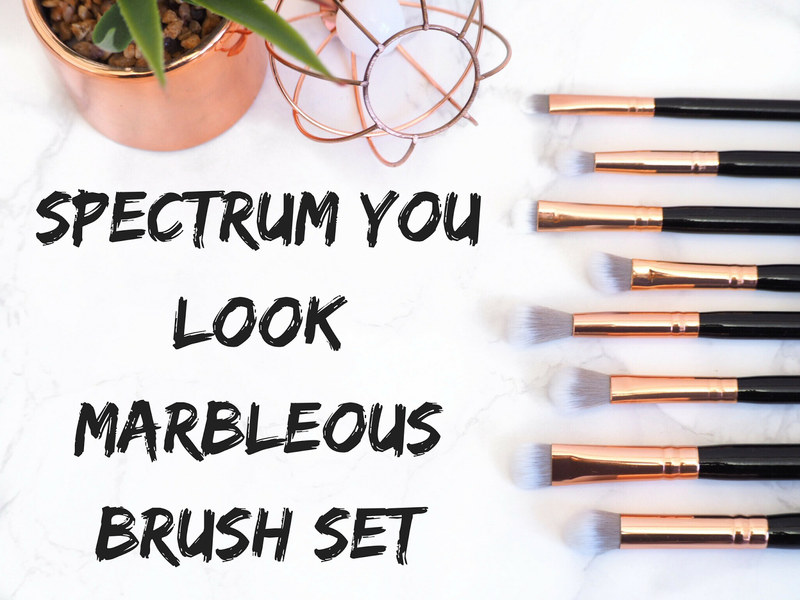 Do you like the sound of these blogger favourite Spectrum make-up brushes? If you like, this Pin it!